The history of William Morgan and the aftermath of his disappearance in 1826 continues to fuel the flames of anti-masonic rhetoric. Reprinted from The Short Talk Bulletin - Vol. XI, March, 1933 No. 3. 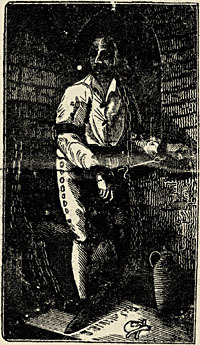 Perhaps the most romantic story of Freemasonry, the fuel which the alleged abduction and murder of William Morgan supplied to the anti-masonic hysteria of a hundred years ago, and the gradual emergence of the Ancient Craft from the cloud which threatened to extinguish it, is a tale which all Freemasons may ponder to their enlightenment. William Morgan, a brickmason,n3 lived in Batavia, New York,n1 from 1824 to 1826. Accounts of him differ widely, as they do of any notorious person. Few are so wicked as to be without friends; few are so good they have not their detractors. From the estimates of both enemies and friends, the years have brought an evaluation of Morgan which shows him as a shiftless rolling stone; uneducated but shrewd; careless of financial obligations: often arrested for debt; idle and improvident; frequently the beneficiary of Masonic charity. That he was really a Mason is doubtful; no record of his raising or Lodge membership exists, but it is certain he received the Royal Arch in Western Star Chapter R. A. M. No. 33 of Le Roy, New York [May 31, 1825 cf. Cummings p. 25].n6 It is supposed that he was an "eavesdropper" and lied his way into a Lodge in Rochester  by imposing on a friend and employer, who was led to vouch for him in Wells Lodge No. 282 at Batavia. [Cummings notes that Wells Lodge never met in Batavia and that Western Star Chapter was numbered 35.] Judge Ebenzer Mix, of Batavia, a Mason of unquestioned reputation, wrote of this alleged Masonic membership: "There must have been a most reprehensible laxity among the Masons both of Rochester and Le Roy; for there was no evidence educed, then or afterwards, that he ever received any Masonic degree save the Royal Arch, on May 31, 1825, at Le Roy." What happened to William Morgan? Enemies of the Craft said Freemasons had kidnapped and murdered him, to prevent the publication of his exposé. Freemasons, of course, indignantly denied the charge. As time went on and Morgan was not found, members of the Craft disavowed any approval of any such act, if it had been committed. Governor Clinton, Past Grand Master, issued proclamation after proclamation,n21 the last one offering two thousand dollars reward "that, if living, Morgan might be returned to his family; if murdered, that the perpetrators might be brought to punishment." Cf. Cummings, pp. 30-31. But murder could not be proved for no body was found. In October, 1827, a body was washed ashore forty miles below Ft. Niagara. Morgans widow "identified" the body, although it was dressed in other clothes than her husband had worn alive; was bearded, although Morgan was clean shaven; had a full head of hair, although Morgan was bald! Thurlow Weed [1797-1882], Rochester Telegraph Editor, was accused of having the corpse shaved and of adding long white hairs to ears and nostrils, to simulate the appearance of Morgan. The first inquest decided that this was, indeed, the body of William Morgan. Three inquests were held in all. The third decided, on the unimpeachable evidence of Mrs. Sara Munro, who minutely described the body, its marks, and the clothes it wore, that the corpse was not William Morgan, but Timothy Munro [or Monroe cf. Cummings, p. 29. ], of Clark, Canada, her husband. Commonplace and unexciting truth seldom catches up with scandalous, electrifying, remarkable falsehood! William Morgan had disappeared. Freemasons had been convicted of abducting him. A body had been found and identified as Morgan. That better evidence and a less excited jury had later reversed this identification was anti-climatic. The stories of Morgans "murder" persisted. Thurlow Weed, whom history shows as an unscrupulous opportunist , no matter what the exact truth of his activities with the body may have been, added fuel to the flames. Weed died in 1882, On his death bed he stated that in 1860 (twenty-two years before) John Whitney, who had been convicted in the conspiracy charge, confessed to him the full details of the murder of Morgan. According to this alleged confession, Whitney and four others carried the abducted Morgan in a boat to the center of the river, bound him with chains, and dumped him overboard. Weed stated  and here his memory failed him  that Whitney had promised to dictate and sign this confession, but died before he could do so. But Whitney died in 1869, nine years after! Whitney did indeed tell a story  not to Thurlow Weed, who was his accuser in the conspiracy case and whom he hated  but to Robert Morris. This story is both the most probable and the best attested of any we have, as to the true fate of William Morgan. Whitney told Morris that he had consulted with Governor Clinton at Albany, relative to what could be done to prevent Morgan executing his plans to print the exposé. Clinton sternly forbade any illegal moves, but suggested the purchase of the Morgan manuscript, for enough money to enable Morgan to move beyond the reach of the influence and probable enmity of his associates in the publishing enterprise. From some source (Masons? Governor Clinton?) Whitney was assured of any amount needed, up to a thousand dollars, which was a great sum in those days. In Batavia Whitney summoned Morgan to a conference in which the bribe was temptingly held forth.n15 On the one hand, the enmity of all, persecution, continual danger  it is not improbable that threats were mingled with the bribe! On the other hand, money, safety, freedom from a plan to publish which held much of danger. If Morgan would take five hundred dollars, go to Canada, "disappear", his family would be provided for, and later sent to him! Morgan agreed. He was to be arrested and "kidnapped", to make it easy to get away from Miller and his associates. Whitney feared that without some such spectacular escape, Morgan might at the last moment decline to go through with the plan, fearing reprisals from his friends in the publishing venture. Later there were two other "confessions" of complicity in the "murder" of Morgan  neither consistent with the facts. Doubtless they were of the same hysterical origin which leads so many notoriety seekers to confess crimes which by no possibility they could have committed. It is difficult, a hundred years after, to understand the extent and power of the widespread excitement and passions this incident created. For the fame and infamy of the Morgan affair spread over an immense territory. It was the beginning of an anti-Masonic sentiment which grew and spread like wild fire. meetings were held, the Order was denounced by press and pulpit. An anti-Masonic paper was started  with Thurlow Weed as Editor  soon joined by the Anti-Masonic Review, in New York City. The many groups in Pennsylvania, already opposed to any oath bound society (Quakers, Lutherans, Mennonites, Dunkards, Moravians, Schwenkfelders, German Reformed Church) were aroused to a high pitch of feeling against the alleged "murderers" and "kidnappers"  the Freemasons. Cf. Cummings p. 40. The anti-Masonic excitement spread  and fast and far. Gould, in his History of Free-Masonry, thus epitomizes the spirit of that time: "This country has seen fierce and bitter political contests, but no other has approached the bitterness of this campaign against the Masons. No society, civil, military or religious, escaped its influence. No relation of family or friends was a barrier to it. The hatred of Masonry was carried everywhere, and there was no retreat so sacred that it did not enter. Not only were teachers and pastors driven from their stations, but the children of Masons were excluded from the schools, and members from their churches. The Sacrament was refused to Masons by formal vote of the Church, for no other offense than their Masonic connection. Families were divided. Brother was arrayed against brother, father against son, and even wives against their husbands. Desperate efforts were made to take away chartered rights from Masonic Corporations and to pass laws that would prevent Masons from holding their meetings and performing their ceremonies." "The pressure was so strong that withdrawals by individuals and bodies were numerous. In 1827, two hundred and twenty-seven lodges were represented in the Grand Lodge of New York. In 1835, the number had dwindled to forty-one. Every Lodge in the State of Vermont surrendered its Charter or became dormant; and the Grand Lodge, for several years, ceased to hold its sessions. As in Vermont, so also in Pennsylvania, Rhode Island, Massachusetts, Connecticut; and in lesser degrees in several other states. The Masonic Temple was cleft in twain; its brotherhood scattered, its trestleboard without work; its working tools shattered. Thus Masonry endured the penalty of the mistaken zeal of those fearful brethren who thought that the revealing of the ritual to profane eyes would destroy the Order and who hoped to save it by removing the traitor within the camp." Space here is not sufficient to retell the interesting, often exciting, and always varied story of the political campaigns  which were predicated on, and took much of their ammunition from, the anti- Masonic excitement which followed the Morgan affair. It is not to be supposed that the abduction and alleged  never proved  murder of Morgan was the sole cause of this outburst, any more than was the assassination in 1914 the sole cause of the World War. Both were triggers which set off guns which, in turn, caused other explosions. Suffice it here that a wave of hysteria was seized upon by able politicians, fanned by demagogues, increased by the righteous indignation of good men and true who saw not beneath the surface, helped onward by press and pulpit with the best of intentions but little understanding, until the whole east flamed with passion and Freemasons were spit upon in the streets, lodges threw away their charters, and Freemasonry bowed its head to a storm as unjust and undeserved as all religious persecutions have always been. Like any other hysteria, this passed. Passions wore themselves away. A few sturdy and brave men stood staunchly by a few Grand Lodges with high courage and the strength of the right never ceased to proclaim their allegiance to the principles of the Order. Little by little, Freemasonry raised its head; one by one, lodges took heart; brother by brother, Craftsmen returned to their Altars. After a period following almost twenty years of more or less complete eclipse, the sun of Freemasonry shone again, and the world was treated to a spectacle that has been a heartening lesson to millions and will be to counted millions yet to be born anew at the sacred Altar of Freemasonry  the strange sight of an Order many had thought dead, suffering from uncounted thousands of stabs to the heart, coming again to life to grow and thrive and attract to it then. as it had in the historic past, men of the highest character. It is for this that the Craft of today can offer thanks to the Great Architect for the Morgan affair. Dreadful as it was to the men who lived through it, terrible in its consequences to the brethren who suffered, it demonstrated again  and it may be hoped and believed, once for all  that the underlying faith of Freemasonry, its Ancient Landmarks, its foundation upon Deity and the Great Light. together are stronger than any evil, more lasting than any calumny, more enduring than any human passions. Forever and forever, So mote it be ! 1. History of Freemasonry,Robert Freke Gould. Vol IV. The John C. Yorston Publishing Co., Philadelphia: 1902. pp. 316-29. 2. 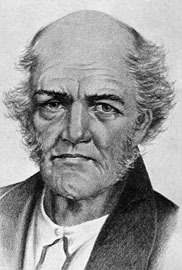 The True History Regarding Alleged Connections of the Order of Ancient Free and Accepted Masons with the Abduction and Murder of William Morgan..., P. C Huntington. New York: 1886. 3. The Strange Disappearance of William Morgan,Thomas A. Knight. Published by the author at Brecksville, Ohio. The Macoy Publishing and Masonic Supply Company New York City: 1932. 4. William Morgan; Or political Anti-Masonry, Its Rise, Growth and Decadence,Rob Morris. New York: 1883. 398 pp. 5. Letters on Masonry and Anti-Masonry, Addressed to The Hon. John Quincy Adams,William L. Stone. New York: 1832. 6. "An American Masonic Crisis: The Morgan Incident of 1826 and Its Aftermath," J. Hugo Tatsch, Ars Quatuor Coronatorum Vol. XXXIV (1921), pp. 196-209. 7. Bibliography of Anti-Masonry. William Leon Cummings. With a Sketch of the "Morgan Affair" and an Appendix Containing Several Important Documents Etc. North Carolina Lodge of Research, No. 666. Syracuse, N.Y., September 24, 1933. pb. 128 pp. 8. Back page woodcut from Illustrations of Masonry by One of the Fraternity. Who has devoted thirty years to the subject. William Morgan. Rochester. Printed for the author. 1827. 90pp pb. H. L. Haywood, in the The Builder magazine (May 1923 - Volume IX - Number 5), reports that the best history of this whole movement is "The Anti-Masonic Party: A Study of Political Anti-Masonry in the United States, 1827-1840," by Charles McCarthy: this scholarly work will be found in the Annual Report of the American Historical Association for 1902, Volume I, page 865. Consult also: Autobiography by Thurlow Weed: Autobiography by William H. Seward; Stanwoods History of the Presidency; The Jacksonian Democracy, by MacDonald; Hammonds Political History of New York, Volume II; Diary by John Quincy Adams; Harveys History of Lodge No. 61, of Wilkesbarre, Pa.; Letters on the Masonic Institution, by John Quincy Adams; Letters on Masonry and Anti-Masonry by William L. Stone; Mackeys Encyclopedia of Masonry; and Stevens' Cyclopaedia of Fraternities. In December, 1918, The Builder published a comprehensive study of "The Anti-Masonic Movement" by E.B. Gibbs.